Seladin-1 as a target of estrogen receptor activation in the brain: A new gene for a rather old story? Experimental evidence indicates that estrogen exerts neuroprotective effects. According to the fact that Alzheimer’s disease (AD) is more common in post-menopausal women, estrogen treatment has been proposed. 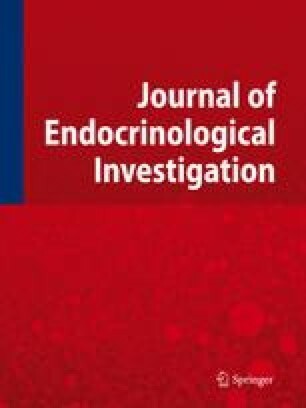 However, the beneficial effect of estrogen or selective estrogen receptor modulators (SERMs) in preventing or treating AD is a controversial issue, which will be summarized in this review. Recently, a novel gene, named selective AD indicator-1 (seladin-1), has been isolated and found to be down-regulated in brain regions affected by AD. Seladin-1, which is considered the human homolog of the plant protein DIMINUTO/DWARF1, confers protection against β-amyloid-mediated toxicity and from oxidative stress and is an effective inhibitor of caspase 3 activity, a key mediator of apoptosis. This review will present the up-to-date findings regarding seladin-1 and DIMINUTO/DWARF1. In addition, the possibility that seladin-1 may be a downstream effector of estrogen receptor activation in the brain, based on our recent experimental findings using a human fetal neuronal model, will be addressed.